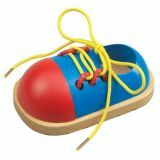 This little shoe will teach kids that lacing and tying a shoe is as easy as 1, 2, 3. Practice tying and lacing with the perfect lacing shoe. Helps develop hand-eye coordination and manual dexterity for kids! 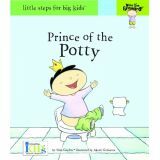 Turn a must-learn habit into a fun and playful lesson with this must-have item. Colors will vary. 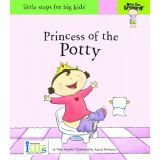 From smelly, wet diapers to clean big-kid underwear, children will laugh right out of their pants and onto the potty as they master this momentous milestone. Hardcover book with 30 pages. 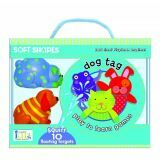 Two dog-shaped squirters and ten floating animal targets create the splashiest, silliest game of bath tub tag ever played! Kids use the squirt toy in a race to knock over each animal while learning colors. Play alone or with a friend. Mesh storage bag included.